This morning we have been enjoying making connections with Paihia School. 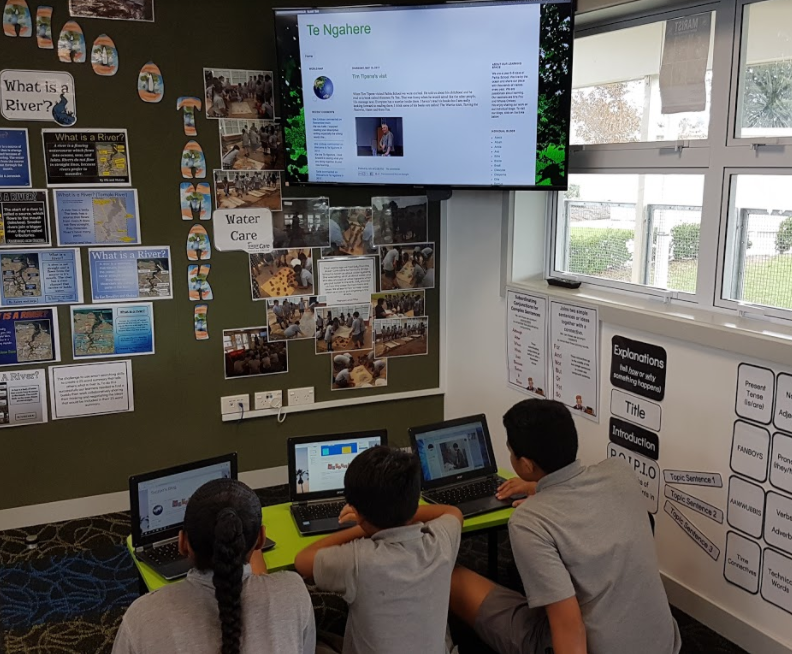 LS2 enjoy reading about what other kids in NZ are doing during their learning time. We were all very interested in the beach clean up posts as this is similar to something we did in term 1. I think it is really cool how all over people are connecting through their blogs. In our class we do the same thing. What has been one of your favorite topics to comment on ? Thank you for leaving a comment on our class blog. My favorite topic was probably the beach clean up because it related to our inquiry topic which is Reduce, Reuse and Recycle and they were caring for their local environment. 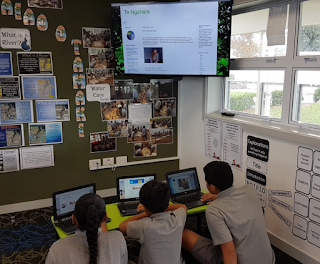 It is so good to see you making connections and commenting on your Tuhi Mai Tuhi Atu blogging buddies blogs. It's great that you are learning about similar things in different parts of the country. I hope you get ideas for creative DLO's from each other as well. Have any of you been to Paihia, Greymouth or Karoro? I live in Whangarei so it's only an hour to Paihia for me, I love visiting there is the summer. I have been to Greymouth and Karoro a couple of times but it's a LONG way away. Hello Tania, thank you for commenting on our class blog. I have never been to Paihia, Greymouth or Karoro but I would really like to. Paihia sounds like a really wonderful place. Have you ever been to Auckland? Kia ora my name is Aliyah I go to Paihia school. I am in Te Ngahere. I have liked the way you guys are making new and more connections with other schools and people. I learnt lots about what you do In your spare time. Hello, my name is Sam and I go to Paihia Primary School. It’s cool that you were looking at our posts. It’s also very interesting that you guys also did something similar to as with the beach clean up. We also did our beach clean up in term 1. Hello, my name is Mataio and I go to Panmure Bridge Primary School. It’s cool that you were looking at our posts. It is so interesting.